The Youth Ministry Program of Starmount Presbyterian Church is one of the richest and most diverse programs available at our church. Starmount welcomes youth from both inside and outside of the church’s walls. We seek to promote the values of teamwork, fellowship, and faith during all activities. The youth participate in the development and execution of their weekly programs with the advice of advisors. The Youth (6th-12th grade) meet regularly on Sunday evenings for dinner at 5:18 p.m. and a program from 6:00 to 7:00 p.m., September through May. They also meet occasionally during the summer and are involved in a wide variety of Mission Trips, Ski Trips, the Montreat Youth Conference, Whitewater Rafting and other activities throughout the year. 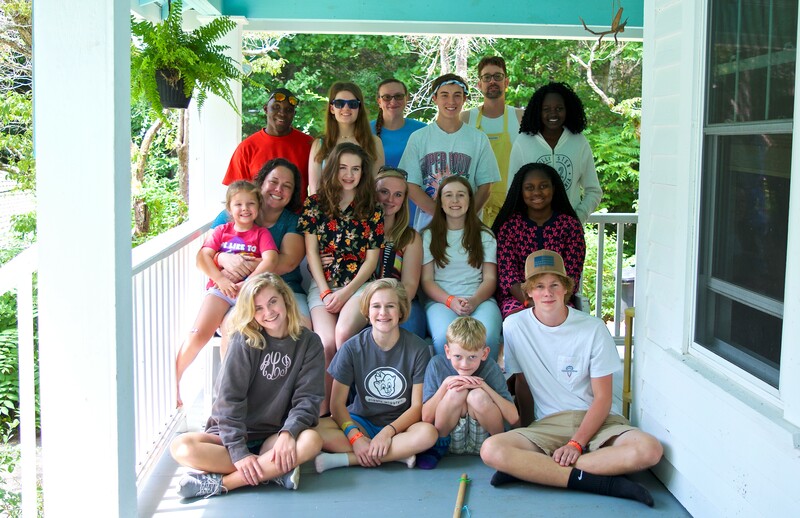 The Youth Ministry program at Starmount also includes Sunday School classes for youth, confirmation classes for Grade 8 and older students wishing to unite with the church, and enriching service projects and retreats. Come join the fellowship and faith-building fun of Starmount Youth! Contact Laura Roberson, Lillian Steele Resident for Youth & Young Adult Ministries with any questions. Click the calendar below for a complete list of upcoming SPY events! To provide a meal, transportation or assist in leadership with our youth group, click here. While middle and high school students are actively involved in worship each week through ushering, volunteering in the AV booth, and serving as liturgists from time to time, one Sunday a year is carved out for the youth to plan and lead worship. It is a wonderful event that many look forward to! Confirmation Class is open to any 8th grade (or older) student interested in taking a new step on his/her faith journey. The class looks at what it means to be an active member of the church and to walk as a disciple of Christ. For more information, contact Reverend Kathryn Campbell.